How's the new escape room game at Casa Loma? 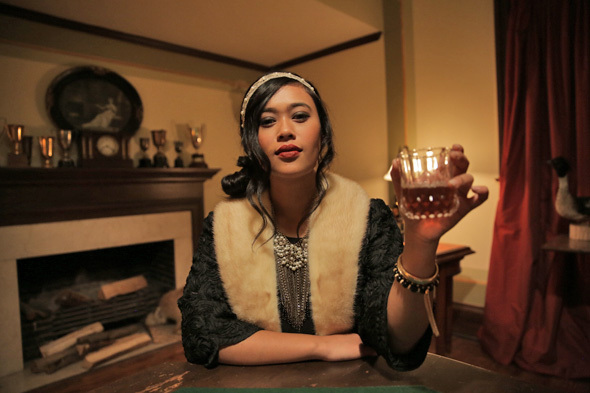 King of the Bootleggers is Company & Co's new escape game set in 1920s Toronto. Located in Casa Loma, KotB operates three times a day priced at $36-42 per player. I visited the escape room on a Monday evening alongside 15 other players, each of us eager to spend time in an era that predates most modern evil (Snapchat, trans fat and Darth Vader). Like the other Casa Loma game, the players were led into a small theatre where an employee had us sign waivers and read us the rules. After the formalities, he whipped off his jacket like a historical Magic Mike and transformed into Charlie, the speakeasy bartender. He presented the premise of the game (we have to find three specific items to take down a kingpin bootlegger and steal his fortune before the police arrive), introduced us to the other three characters (shady 1920s types with New York accents) and led us through the bowels of Casa Loma (cold, unforgiving hallways reminiscent of an old time-y PATH). After that, we were split into three smaller groups to find one of the items of interest in one room of the play area. This is a bit different to the other Casa Loma game (and really, every other escape game I've done) where normally, players are expected to work as an entire team to accomplish each task before moving on to the next step in the game. In that sense, it was a little disappointing to spend almost the entire hour working on puzzles in one room of the play area instead of being free to float amongst different rooms and "graduate" to the next level as a whole team. It also made it a little harder at the end, when the groups were reintegrated and we were supposed to share information to solve one larger, overlapping puzzle. Because I had concentrated on a few puzzles in one of three rooms, it made it difficult to understand any overarching themes or information, not to mention there were other players I started the game with but hadn't seen or spoken to since the initial introduction. As well, in most escape rooms, I find myself excited and fired up and far too sweaty for someone who wears Secret Clinical Strength. Working (albeit more intently) on less puzzles made it more of a slower burn. What KotB lacked in high energy, it made up for in theatrics. This game had the most character involvement, with full sections of the game scripted between characters. The amazing actors never broke character and were incredibly convincing - definitely the highlight of the game. Sadly, my team didn't break out of the game and we didn't take down the bootlegger, but it was still a really fun way to spend 90 minutes. 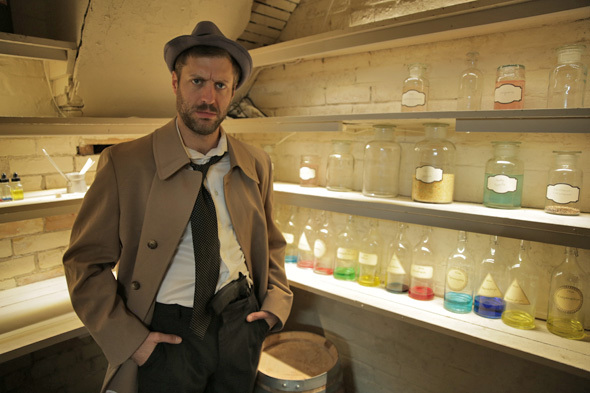 King of the Bootleggers is the ideal choice for someone who wants an escape room with lots of performance and character involvement, or for a potential escapee who would prefer a slower-paced room. As someone who prefers the fast-paced, exciting, and yes, sweaty thrill of teamwork, Escape from the Castle is still the one to beat. Top photo by Andrei in the blogTO Flickr pool.